The new year is always filled with new trends. 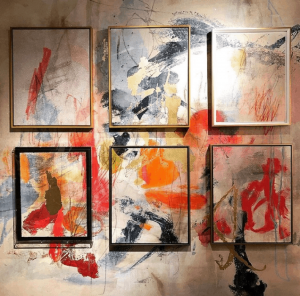 This article focuses on what’s hot for 2019 in home decor, but keep in mind you don’t have to follow all of the trends. It’s that time of year where you get to choose what’s right for you, your style and your home. Drum roll…and the Pantene “Color of the Year” is, Living Coral! A bright shade of coral and pink in nature, it emits a vibrant shade of orange with golden undertones. 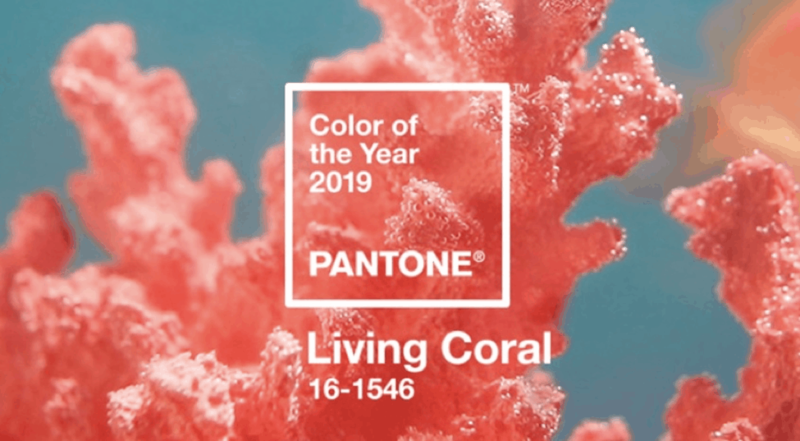 Pantone sited Airbnb and Apple’s use of the unique color as the key indicator of the color’s dominance (yes, you can have a coral iPhone now). We’ll have to wait and see how and when this color takes shape in the world of home décor. In line with this year’s color, we do know for sure that 2019 is all about using vibrant colors that make your home POP! It’s the year to be bold, make a statement and have fun with your décor. You name it, anything is fair game! On the warm color spectrum, look for dramatic reds, statement pinks, bold yellows, flamingo oranges, and rich purples. All shades of blues also continue to be on trend, including teal, royal blue, navy, aqua, and seafoam green. Also making a presence in home décor showrooms is jade green, a pretty jewel tone. 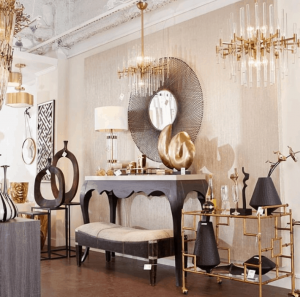 Gold and brass accents are taking over in the metals and stainless steel and polished nickel are slowly becoming a thing of the past. Gold has been revamped with many different finishes, including champagne gold, black gold, and bright gold. Gold is also being paired with matte black which is packed with a BIG sense of drama. So we see that home décor continues to follow fashion and beauty with this trend. Bar carts continue to be hot in 2019. If you like entertaining and mixing cocktails, a bar cart lets you take the elegance and the party anywhere in your home. It’s the perfect place to store treasured glassware, bottles, and create themed vignettes. These unique carts with glass shelves are also being used as tables and nightstands. Velvet is the new fabric that’s gaining a lot of attention. In the past, it was considered old-fashioned and not viewed as very luxurious. Geometric patterns are also big for the new year. An easy way to incorporate this pattern into your home is by adding geometric throws or pillows to your decor. As always, it’s all about your personal touch! Decorate your space with things that are valuable to you, from your travels to celebrations, that remind you of good times or that are just beautiful to you. Trust yourself and enjoy the space you create. And a good rule of thumb is always “Less is More”. Minimalism and clean lines are a major theme when decorating. So instead of decorating your space with many small pieces, go for a statement or “WOW” piece and keep it simple. As always, make your home décor comfortable, functional and your special oasis. Great article, Karen! Love it.